I have years of experience in computer science and engineering as a hobby and as a business, I have spent most of my life thus-far working with computers in some form. I have encountered, worked on, and owned many computer systems including servers, laptops, desktops, and portables. From this experience I have learned what it takes to make a great computer system and what the common pitfalls are. This is a collection of the absolute worst systems I have ever had the displeasure to deal with. This article will continue to grow as I have time to add more systems and come across new ones. I must state beforehand that I do not mean to pick on HP specifically, well maybe just a little. Many of the organizations and businesses that I associate with all use HP hardware so I have access to far more HP systems than other manufactures. I acquired a handful of these to help diagnose their poor network performance for a client. My experience with these machines was that they are hands-down the worst laptops I have ever used, they have a variety of infuriating hardware problems that make them unusable to anyone who is not a masochist. My first reaction to using one of these machines was that the keyboard is the worst keyboard that I have ever used. The keyboard has shallow island style keys which are made of very thin and flexible plastic. This is half expected from budget notebooks, the real problem comes from keys not registering unless pressing them in the exact center with excessive force. This dramatically decreases the words per minute one can achieve on this keyboard and causes wrist and finger pain after prolonged use, far more than I have ever experienced using any other system. Even the space-bar has to be pressed in the exact center to register the key-press, just awful. Like the keyboard, the touchpad is one of the worst in the industry. It is a touchpad with no individual mouse click buttons with just a single switch mounted underneath, your finger position on the touchpad determines if a click was a left or right click. These designs are annoying to begin with, but add in the random mouse movements that can traverse the entire screen in an instant makes doing anything with this touchpad nearly impossible. Another minor gripe I had with this laptop was access to the internal hard drive, it can only be accessed by disassembling most of the machine. This became infuriating so I cut a hole in the wrist wrest to allow easy access to the drive, problem solved. 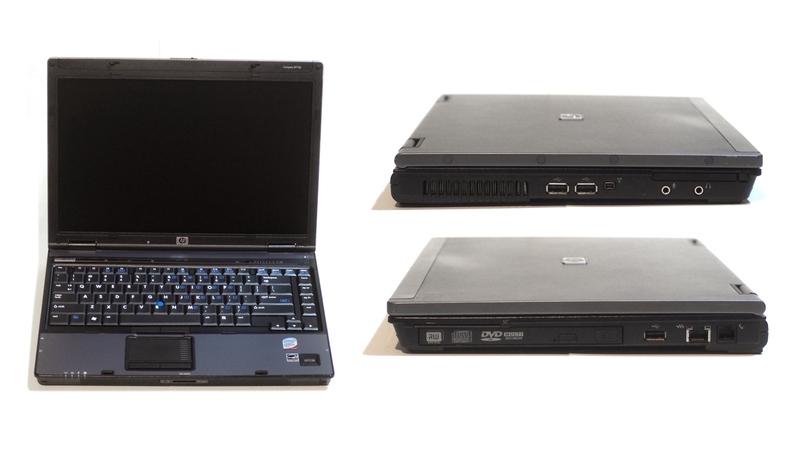 The 4525s was one of my first experiences with HP's 'put no intake vents in the case' phase of laptops. The bottom of the laptop's case is all plastic with one tiny slit in the case that little air can enter from. Cutting a hole in the case directly under the intake fan reduces CPU and GPU load temperatures from over 90c to ~80c. 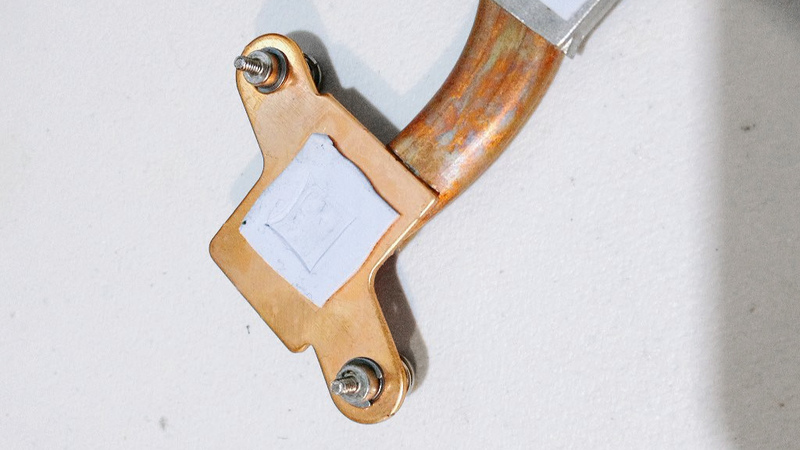 It always amazes me how many problems can be solved with a simple rotary cutting tool. Now to finally address the reason I acquired these machines in the first place, their horrible network performance. During my testing, all laptops only managed to reach a maximum wireless transfer rate of 7Mib/s. That is Mebibits not Mebibytes, this is slower than most rural DSL connections. Okay no problem then, swap the wireless module for a $20 Intel one and call it a day, right? This is not feasible due to HP's device white-list that is hard-coded into the BIOS and prevents the system from booting if a device that HP has not approved is installed. Many systems have white-lists, they are usually used as a scummy tactic to force you to buy overpriced parts with custom vendor specific identifiers directly from the system manufacturer. Most of the time they are not a big problem if there are enough decent devices in the white-list for a user to chose from. HP decided to only add 3 wireless devices to the 4525s white-list, all of which are just as slow. The only ways to get around this are to modify the firmware on the wireless module to have the same identifier of a device already in the white-list or completely disassemble each laptop, dump the BIOS ROM with a hardware programmer, modify the ROM to remove the white-list or add your device to it, flash the modified BIOS ROM with the hardware programmer, and reassemble the laptop again. Since this machine is basically unusable as a laptop, maybe the motherboard can be removed and used for something else like an HTPC or arcade machine. Unfortunately even this is not practical because the initial display output can not be changed from the internal LCD to HDMI. 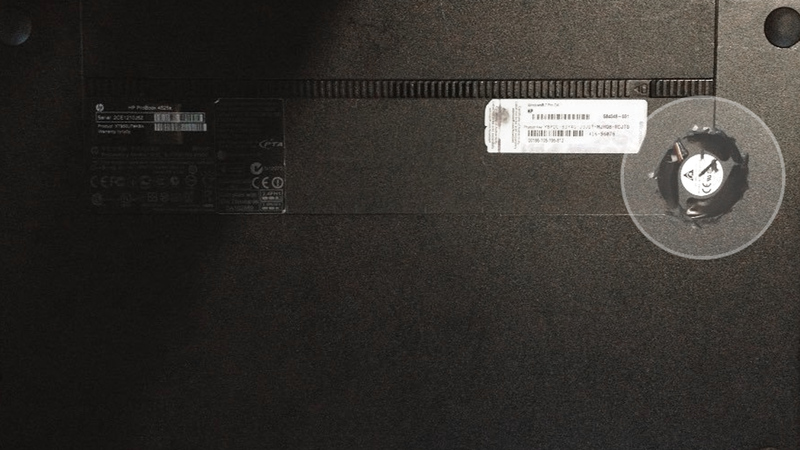 The only way to use the HDMI output is to enable it inside the operating system after it has finished booting and loading the graphics driver. Like the ProBook 4525s, this series of laptops have no intake vents on the laptops case, instead they intake the majority of their air through the space between keys on the keyboard and the speaker grill. This causes dust to build up under the keys and cause them to jam or stop working. To top it all off, the cooling fan will always remain idle unless in the BIOS setup utility or "HP CoolSense Technology" (a proprietary, Windows only, fan control driver) is installed. This driver also happens to not work most of the time causing the system to regularly overheat and power off even when preforming basic tasks like web browsing. This also makes using Linux or installing Windows updates cause the laptop to overheat since the fan will not increase it's RPM unless the HP CoolSense driver is running. The HP Compaq 6910p is an example of how a great system can also have flaws which cause major problems later in the products lifespan. I acquired a not-insignificant number of these systems to part out and refurbish. 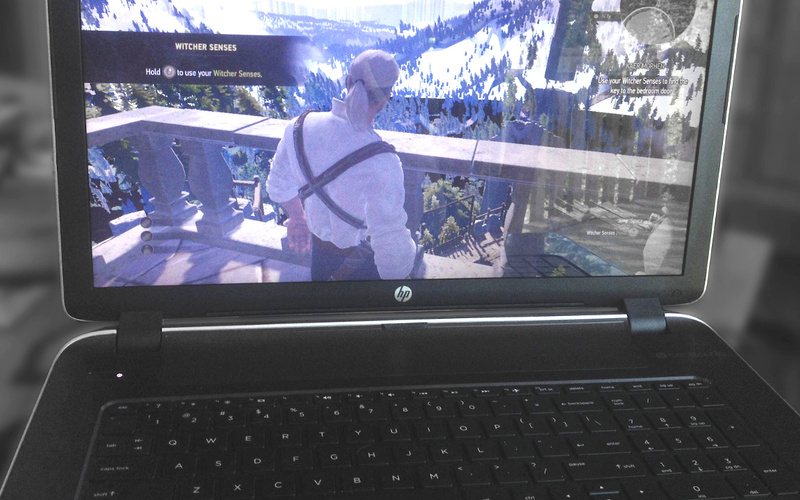 Most of the laptops had dead or artifacting GPUs. The cause? Temperature. HP opted for thermal pads as a thermal interface between the GPU and heat-sink which causes the GPU to run over 100c for long periods of time. Replacing this thermal pad with proper thermal paste nets a 20 degree drop in temperatures and allows the GPU to stay within safe operating temperatures. The 6910p, like most of HP's product range, also has the infamous BIOS white-list. However the BIOS is flashable via the OS making modifying it a much easier and automatable. I was given two HP Proliant ML350 servers by a local school when they last upgraded all of their IT hardware, one of them being a G6 and one G5. These systems both suffer from the same problem, cooling. Each server has 4 exhaust fans that pull air through the entire system and do a great job of cooling the processor/s, memory, and various other components on the mainboard. The processors of each system never really exceed 50c with the fans at a reasonable RPM. However, HP located the hottest components in the system as far away from the cooling fans as possible and put almost no ventilation near them. 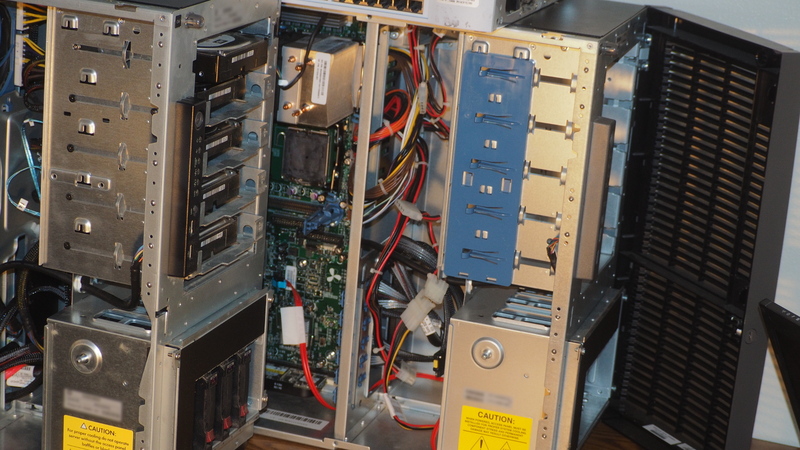 The components I am talking about are the 2.5in SAS drives which sit in a hot-swap bay at the bottom-front of the case. The only way for air to flow through the drive cage is through a few tiny holes cut into the backplane PCB of the hot-swap bay. After just a few minutes of idle use with the drive bays populated, the system fans will reach their maximum speed creating a deafening noise while not actually cooling the components that are heating up. Instead they pull almost all of their cool air through the 3.5in drive bays which have nearly unrestricted airflow. If the SAS drive array is under any significant load, the drives will overheat and cause the entire system to power down. The most hilarious part is that the fans alone at full speed actually consume more power (~100w) than the components they are typing to cool idle. HP could have solved this by making bigger holes in the backplane PCB or just adding another fan near the drive cage. I use the G6 server as my home server and have solved this by installing an 80mm fan behind the drive cage. This single fan dramatically decreases the drive temperatures and causes the system fans to never increase over their minimum RPM unless the room ambient temperature reaches ~40c. The worst modern motherboard I have ever owned, I have had 2 of these boards and both experience the same problems. The first is the inadequate CPU VRM which is unable to keep AMD FX 8350 CPUs stable even at stock speeds despite being listed as "Supported" on MSI's official product page for this motherboard. 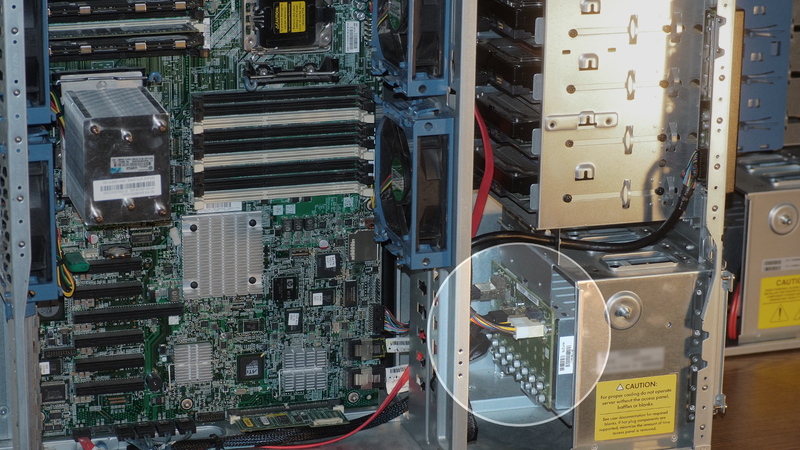 Even the lower TDP and core count FX 6300 causes these boards to occasionally lock up and reboot unless under-clocked. 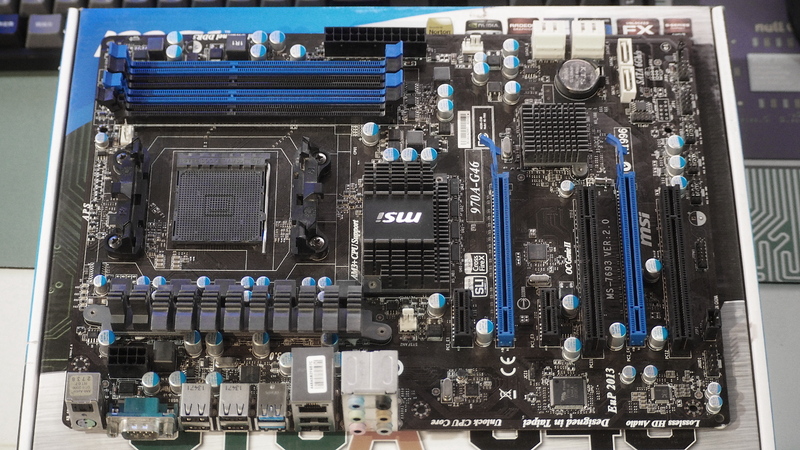 My other issue with the hardware aspect of this motherboard is that 2 of the SATA ports are not right angle connectors and stick out vertically from the motherboard. These are positioned inline with the 2nd 16x PCIe slot so that they will interfere with most cards installed in that slot. This means you have to chose between installing an expansion card in this slot and more than 4 SATA devices. 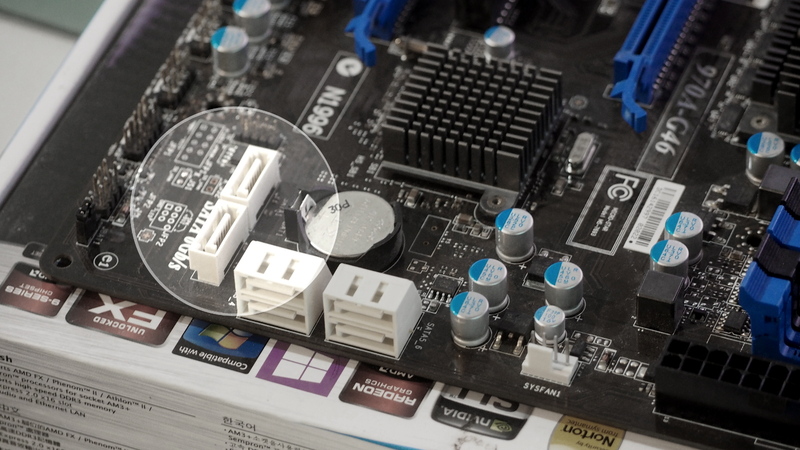 Many motherboards have similar layout problems but usually these connectors are near the bottom edge of the board where they are less of an issue. The last of the problems with this motherboard all result from a poor UEFI/BIOS setup utility implementation. Fan control seems to be very broken. When fan control is set based on temperature, the CPU fan makes hard jumps from a low idle RPM to it's maximum speed seemingly at random even when observed temperatures remain low. Sometimes it will remain at it's maximum RPM until a full reboot. The UEFI BIOS also often fails to save or ignores settings indefinitely or until rebooting and re-applying the setting multiple times in a row. It took me about 30 minutes just to turn off the blue LEDs next to the CPU power input connectors.